Seven days a week, the CBC Vancouver News team will share local breaking news and beyond. Starting November 19, the CBC Vancouver News team launches a new era with seasoned journalists, expert investigators, and trustworthy voices. Mike Killeen and Anita Bathe host CBC Vancouver News at 6 p.m., joined by senior meteorologist Johanna Wagstaffe. Dan Burritt will host CBC Vancouver News at 11 p.m., and Lien Yeung will host CBC Vancouver News Saturday and Sunday. Seven days a week, the CBC Vancouver News team will share local breaking news and beyond — including community stories rooted in neighbourhoods throughout Metro Vancouver. Accurate and informative, CBC Vancouver News will offer stories not found anywhere else. 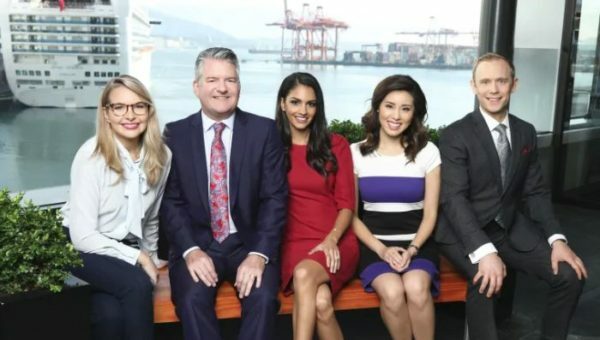 Watch the CBC Vancouver News team on CBC-TV or stream programs online. Mike Killeen is a familiar face to Metro Vancouverites, with a journalism career spanning more than three decades over two continents. Mike has anchored live coverage of some of B.C.’s most significant events and is a multiple Jack Webster Award and RTDNA (The Radio Television Digital News Association) awards recipient, he brings to CBC Vancouver News familiarity and breadth of experience locally, nationally, and internationally. Anita Bathe comes to CBC Vancouver News from CBC Vancouver’s investigative unit, and has taken a lead role in covering community impact stories, such as B.C. wildfires in 2017 and 2018 and Abbotsford Police Constable John Davidson’s death. Anita’s journalism career started more than 10 years ago in radio and includes several RTDNA, Jack Webster, and BCAB (B.C. Association of Broadcasters) awards. Anita joined CBC Vancouver News in 2016. As CBC Vancouver’s senior meteorologist and seismologist, Johanna Wagstaffe covers weather and science stories for CBC Vancouver News at 6 p.m.. She joined CBC in 2007 and was recently awarded a Canadian Association of Journalists award for CBC Vancouver’s Fault Lines podcast on earthquakes, and a Webster Award for 2050: Degrees of Change, a podcast about climate change in B.C. This is a real shame because Dan was doing such a good job in the slot. CBC had a great opportunity to revamp the line-up with a diverse young group and instead chose another older white man. Killeen is a strong anchor don’t get me wrong, but this just seems like CBC took the easy option when they could have built a really strong and fresh young team. Tamara Taggart should have been hired also. Mike is well respected and deserved this opportunity. Interesting. The release gave background on all the players except Mr. Burrett. Was he omitted for some reason? I thought he was doing really well at 6 pm also. Odd move to put Mike with an unseasoned and inexperienced host. Has Bathe even hosted before? Dan should feel short changed. He was doing a great job and gets replaced by another middle aged white guy. Old and white VS strong and fresh, Ron F? Do you really go around thinking that way? Local “News Anchors” are about as relevant today as Block Buster Video. These Barbie & Ken dolls with their goofy/perfect hair reading teleprompters earnestly telling us things that anyone with internet would know 7 hours earlier. But, I guess some people – of a certain age – still “find comfort” in the whole dog & pony show. great hire in Mike Kileen ! Excellent! Bland and boring. A perfect fit for the CBC. I was terrified he was going to sub for vacationing ‘NW staffers, most of whom are also bland and boring, Thankfully we still have Mike Smythe to give some professionalism (journalistic, he is an appalling broadcaster) to various slots. “…diverse young group and instead chose another older white man.” What a nonsensical statement, Justin will be so proud of you Ron F.